Right now, there are 15 states that mandate ignition interlock devices for all drivers who have been conducted of drunk-driving charges. Seven states, including Massachusetts, are considering it. These ignition interlock devices are used to help stop drunk-driving offenders from becoming repeat offenders and from causing even more alcohol-related accidents in Framingham and elsewhere throughout the state. More states could soon enact ignition interlock device laws for all drunk-driving offenders, that is if the Mothers Against Drunk Driving (MADD) gets its way, according to USA TODAY. Our Massachusetts injury attorneys understand that drivers with a hardship license and drivers who are eligible to get their driver’s license reinstated after a drunk-driving conviction in Massachusetts are required under Melanie’s Law to use an ignition interlock device, according to Mass.gov. Still, many in the state say that this law isn’t strict enough and too many offenders are squeezing by without the proper punishments. “An interlock law that covers all people convicted of DUI reduces recidivism by 11-12%,” said Anne McCartt of Insurance Institute for Highway Safety (IIHS). Sarah Longwell with the American Beverage Institute says that these devices are only a temporary fix. She says that as soon as a driver is relieved from these drunk driving-prevention devices, then recidivism risks increase dramatically. 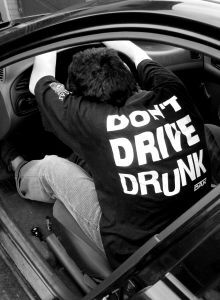 In most states with an interlock law, those convicted of drunk driving have to use the device for only six months. Fatalities resulting from drunk-driving accidents significantly dropped in the 1980s and the early 90s, but ever since then the trend has been increasing steadily. According to recent reports, there were nearly 10,500 people who were killed in these kinds of accidents in 2010 alone. While that’s still far too many, that does illustrate a near 5 percent decrease from the year before. Ignition interlocks for every offender could have happened by now if a funding bill didn’t already stall in Congress. Under this transportation bill, millions of dollars could have been used to make ignition interlocks a requirement for all DUI offenders across the nation. If ignition interlock devices were in a nationwide requirement, officials estimate that it would cost a little more than $430 million to supervise drunk-driving offenders, which is a small price to pay for all of the lives it’s expected to save. What are the operator’s responsibilities with an ignition interlock? -Installation. Users are required to get in touch with a vendor to schedule an installation. -Payment. Users are required to pay the vendor to cover all of the required maintenance and leasing fees. -Maintenance visits. Users are required to revisit the vendor within 30 days after installation for a scheduled data upload and maintenance. – Proper usage. Users are required to obey all of the guidelines and rules that they are given for using the device. Users are never to tamper with or try to circumvent the use of the interlock. The Law Offices of Jeffrey S. Glassman, LLC is here to support those who have been the victims of drunk driving auto accidents in Haverhill and elsewhere throughout Massachusetts. If you or someone who is close to you has been injured in an alcohol-related traffic accident, call 1-877-617-5333 to schedule a free and confidential appointment to discuss your rights. Call today!